Wanted item? Please request us! Points can be used to pay for purchases,1point=1yen. Tips: manufacturers will update of products (change packaging or specifications) from time to time. In case of product updating, new versions and old versions are sent randomly sometimes.We will try our best to update pictures of commodities and informations, but there will inevitably be timeliness and omissions. Please forgive us. 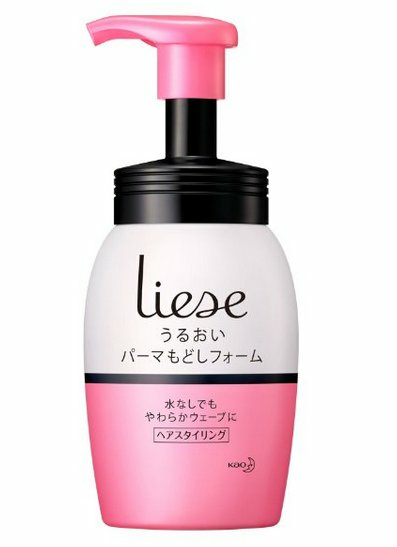 Shop Liese hair styling foam 200ML online at Hommi.We ship worldwide,free International Shipping over 8000 yen.See Price, Brand, How to use, Images, Customer Reviews, Questions & Answers for Liese hair styling foam 200ML.Customers who viewed this item also viewed Kao merit Hair Care Shampoo Brush,Utena matomage Wax 13g,Fujiko PonPon Powder,Lucky Wink donut hair curler,annadonnaEVERY lock color color conditioner hair cream 160g..You can also buy LIESE Moisturizing Hair Curls,Liese hair styling milk disposable type 120ml and more liese at Hommi.